Take advantage of our low cost school quality laminating film. Our school laminating film provides a superior laminating result with thermal roll laminators including GBC, Banner, Ledco, USI, Sircle and more. We offer the most common school laminating film sizes of 25 inch and 27 inch in both 1.5 mil and 3 mil thickness. Stop overpaying for laminating film for your school and take advantage of our economical laminating film offerings. All school laminating film is priced per roll. $4.50 Shipping Offer when Ordering $35.00 or More! Laminator.com offers a variety of standard laminating film in both gloss and matte finishes that will work with nearly all thermal roll laminators including GBC, Banner, Ledco, Sircle, USI and more. Our standard laminating film is the equivalent to GBC Nap Lam I and USI Standard laminating films at a fraction of the cost. Choose from a variety of roll laminating widths from 12 inches to 27 inches. 1.5 mil, 3 mil, 5 mil and 10 mil roll laminating film thicknesses are available. Temperature range of 260 to 290 degrees. $4.50 Shipping Offer on Orders of $35.00 and More! DIGIKote Laminating Film is designed with both UV inhibitors plus LIGHTFast™ technology. These advances reduce graphic fade and protect against moisture. Manufactured specifically for the professional laminating market the DIGIKote Digital laminating films include adhesives that will seal at 185° enhancing clarity. DIGIKote is available in many widths ranging from 12 inches to 63 inches and from 1.7 mil to 10 mil in thickness. Clear Glossy, Matte and Satin finishes are offered. GBC EZ Load Laminating Film is for use with the following GBC models only. The GBC Ultima 35 EZ Load 12” Roll Laminator, the GBC Pinnacle 27 Roll Laminator and the GBC HeatSeal Sprint 925 Automated Roll Laminator. With GBC technology these roll laminating films can not be loaded incorrectly eliminating the number one service call of improperly loaded laminating film. Laminator.com offers our low pricing guarantee on all GBC EZ Load Laminating Film so take advantage of great savings. SmartLoad Laminating Film is used with the SmartLoad 12 inch Roll Laminator from Sircle only. SmartLoad laminating film eliminates the most common operator error by making it impossible to load the roll laminating film wrong. Fast and easy film replacement means less down time on your laminating jobs. 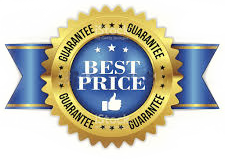 Our low price guarantee assures that you will receive the most savings possible. SuperStick® Laminating Film is a true technological advance in the laminating film market. It is designed to adhere to hard-to-stick to inkjet and digital output. With SuperSticks color enhancement technology your print will have better clarity. SuperStick® laminating film is a low cost alternative to those who have been forced to use pressure sensitive laminating films because thermal films would not adhere properly. SuperStick® solves that problem. Laminator.com offers Guaranteed Lowest Pricing on SuperStick® Roll Laminating Film. Pressure Sensitive Laminating Films are ideal for output that thermal laminating films have difficulty adhering to. Pressure sensitive laminating films do not require heat allowing you to enhance and protect your most difficult digital output. Our pressure sensitive laminating film protects your output from harmful UV rays, dust, incidental smudges, moisture and fading plus offers outstanding clarity. Pressure sensitive laminating films are available in several different finishes including Gloss, Matte, Satin and Lustre! Mounting Adhesives are ideal for indoor and outdoor signage as they will adhere well to not only FoamCore but other low energy plastics such as gatorboard, polystyrene, plexi and sintra. Mounting Adhesives are offered in White Opaque and Optically Clear! The White Opaque PVC layer offers 100% opacity. It will maintain True and Vibrant Colors. The Backercolor will not bleed though. Choose from double side permanent or one side permanent / one side removable. Optically Clear utilizes an adhesive which has a double release PET liner which is an ideal solution for where see through graphics are required. Choose from double side permanent or one side permanent / one side removable. Laminator.com offers Daige Rollaguard Liquid Laminate for use with your Daige Liquid Laminator. For additional savings take advantage of our case discounts. With our Guaranteed Lowest Pricing nobody saves you more money on Daige Liquid Laminate than Laminator.com. Laminator.com offers Xyron Laminating Film for the Pro Model Xyron Laminators including the Xyron XM1255 12” Roll Laminator, the Xyron XM2500 25” Roll Laminator plus the Wide Format Xyron XM4400 42” Roll Laminator.